Beautiful adventure game Rime wasn’t quite as beautiful when it was released on the Nintendo Switch back in November, suffering from severe frame rate drops, bad pop-in, faded colors and poor lower resolution textures. Yesterday’s 1.02 update doesn’t fix everything, but the game looks and plays so much better now. 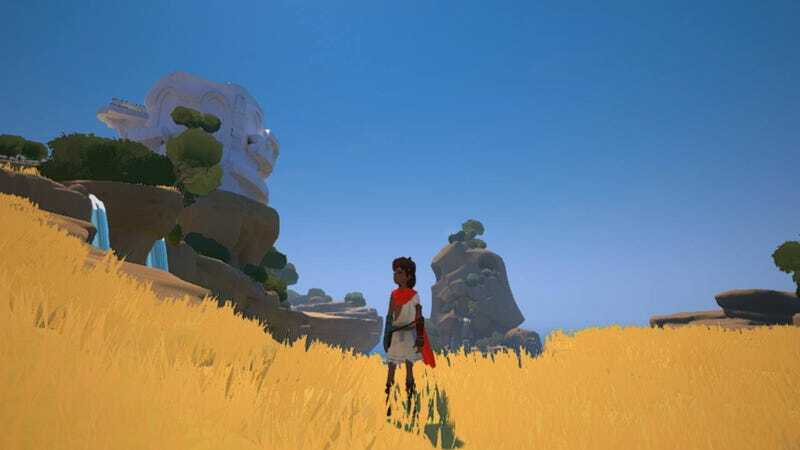 Rather than play the earlier Xbox One, PlayStation 4 or PC releases, I held off for the Switch version of Rime, which ended up being a bad idea. It wasn’t unplayable, but the dipping frame rates and lackluster graphics made it a less-than-enjoyable experience. I played for a good half hour following yesterday’s update, and I’m quite impressed with how far it’s come. Image via developer Grey Box . Developer Grey Box has been working since shortly after the version’s launch to fix its issues, which contributed to the Switch game’s 63 score on Metacritic (PC, PS4 and Xbox One scores range from 78 to 82). Yesterday’s patch sharpens image resolution, increases view distances, upgrades textures in select areas and updates lighting, resulting in a much prettier game. The jarring jaggies around grass and creature models are gone. I didn’t notice any significant pop-in. The frame rate still stutters, but not nearly as severely as it once did. Here’s a look at the pre- and post-patch versions side-by-side, courtesy of Youtube’s Direct-Feed Games (via Resetera). It might be too late for many players put off by Rime on Switch at launch, but those who’ve been waiting patiently and new players who manage to stumble over the game in Nintendo’s eShop should be quite pleased.